This page is about our activity records. We'll introduce what we did and learned through the research on recyclable energy. QIAN in Engineering Department at Tokyo University of Agriculture and Technology does research about eco-friendly energy. The beautiful green and cool buildings in the campus were wonderful. In the history, people developed the economic condition, changing the energy sources. And now, the earth faces with environmental problems. What should we do to protect the earth? Then, Dr. QIAN told us that we need to know recyclable energy as one of the important solutions of energy problems. Recyclable energy has two main merits. One is reducing the amount of CO2 we produce in generating energy and the other is that we will never run out of it because it is sustainable. However, its cost prevents it from spreading. From this viewpoint, in QIAN laboratory, they regard recyclable energy as an assistance of generating energy. When we listened to their explanation, we were shocked because we had expected that they would totally agree with our idea and say, "That's a good idea and lET's use recyclable energy a lot!" Listening to them, the phrase "Doctor of the earth" was very impressive for us. We think people who take care of the earth's environment are essential. People taking care of the earth are to the earth what doctors are to human. 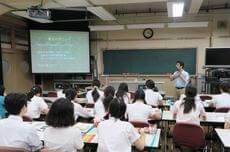 There were also many foreign students who were working hard, collaborating with Japanese students, so we felt environmental problems are global, indeed. We visited Euglena Corporation (hereafter, "Euglena") which does business dealing with euglena. Euglena is a kind of algae microbes. It is rare in that it has both animal's and plant's characteristics. "Euglena" succeeded in culturing euglena outside. The number of euglena is increasing rapidly. The corporation uses euglena in two ways mainly. One is as an energy source. The oil contained euglena is suitable to fly airplane. And the other is as food. Euglena includes 59 nutrients. 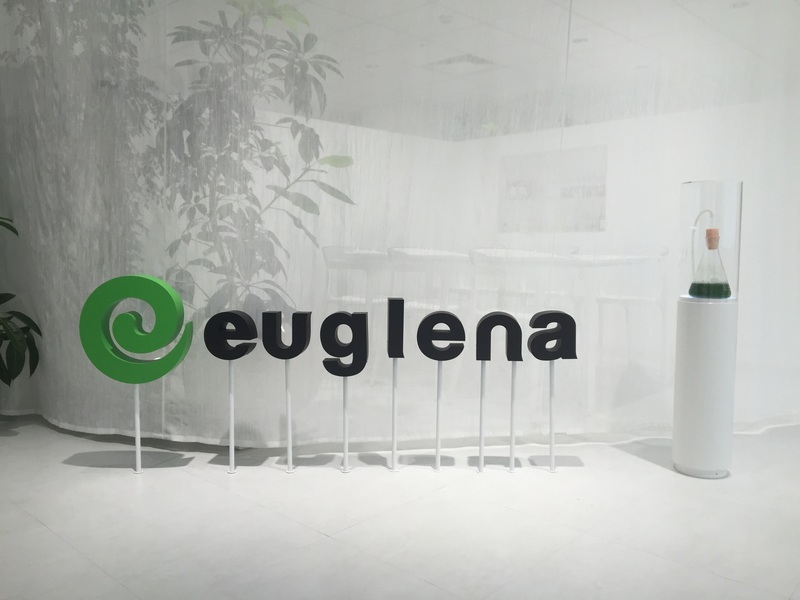 So, using such unique microbes, "Euglena" has been making efforts to solve environmental and food problem in the world. We heard many kinds of information of "Euglena". One of them, about business developing, was very interesting for us. In many companies, managers often say, "We should start from producing goods whose profit rates are high. And by using the profit, we can reach projects whose profit rates are low." As for energy business, it cannot make a great deal of gain. That's why we can say that energy problem is difficult to solve. At last, an officer of "Euglena" talked about their dream. They hope that euglena will be used in many ways in the world. We felt their passion from their powerful speaking and "human energy" from them. Mr. Hasumi Takayuki, a leader of "JUON NETWORK" (hereafter JUON) talked us what they do. JUON is an incorporated non-profit organization. JUON manufactures and sells "smile chopsticks". It uses the rest of thinning timber. The belief of mottainai made them to produce "smile chopsticks." 70% of Japanese land is covered with forests. Most of them cannot live without any help. So, to keep the forests in a good shape, we make thinning timber necessarily. The "smile chopsticks" supports the Japanese nature. We had thought "Taking chopsticks everywhere is kinder to the earth than using disposable wooden chopsticks." However, in some cases, it is not true because the chopsticks we often use are made from petroleum and we wash them with washing liquid as we use. Moreover, the project contributes to the job opportunity of disabled people. It means handicapped people work at the factories of "smile chopsticks". The institutions for these people are often located on mountainous regions to access to the clean air. So, a lot of handicapped people cannot get opportunities to work. "Smile chopsticks" can be a help to bring more chances for those people to work and be involved in a community. As for its demerits, it is costly. 95% of chopsticks Japanese use is made in China which is 1 yen per a pair of chopsticks. Contrary to that, "smile chopsticks" is 2.5 yen per a pair of chopsticks. While there are some negative points, we think we should use the chopsticks because it is friendly to the environment and people. 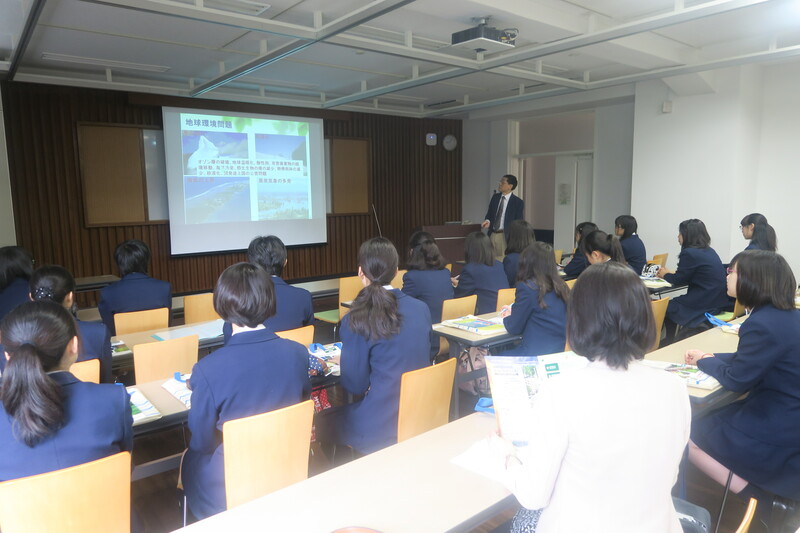 From Mr. Hasumi's speech, we realized the importance and the warmth to do these projects which are kind to environment and people. In JUON, one out of three people is a university student. We think the younger generation should participate in these activities and take over the attitude. Ms. Okui Mihoko and Ms. Nagauti Yuka, working at Honda Motor Corporation (hereafter Honda) visited us and gave some lectures to us: The ultimate clean car, which is kind to the earth's environment, fuel cell cars. Fuel cell cars run with electricity generated by hydrogen energy, so they are kind to the environment because they do not produce greenhouse gasses. However, hydrogen station to supply hydrogen is necessary to use those cars. Today the system does not spread enough. Then Honda put the slogans of "make","use","connect". They not only develop the cars which "use" hydrogen but also do research for hydrogen station, which "make" it and electric feeder, and which carry and "connect" hydrogen. They make use of their strong points to spread hydrogen cars. We think they try to solve environmental problems seriously, having responsibility. "A00" means the essential propose, dream. "Wai-Gaya" stands for "Waiwai-Gayagaya" in Japanese. It implies "creating a roaring din of conversation" or "having lots of fun discussing". In other words, having a lot of discussing and raising their opinions as many as possible are very important for them. Honda is always conscious of it. It is hard to keep their own belief and gather all members' ideas and power. Thanks to the key concepts to collaborate with each other, they have been successful in car industry. 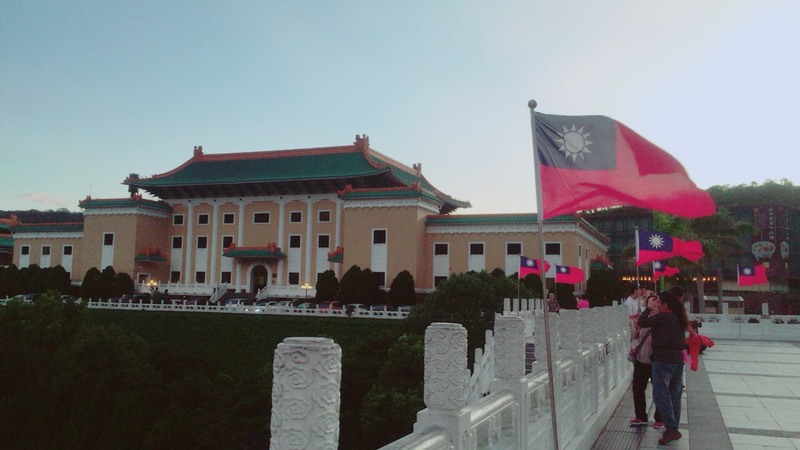 We went to Taiwan as a school's study trip. One of the main purposes of the trip was having discussion with Taipei First Girls' High School (hereafter TFG) students. In the discussion, we exchanged information about recyclable energy. First, we introduced our research and suggestion "Chisan-Chisyou" (local production for local consumption) in English. After that, TFG's students told us about the energy circumstance of Taiwan and so on. For both of two sides, English was not native language, so it was difficult to tell differences in nuance and technical terms, but the challenge was effective in that we developed our English abilities. Furthermore, we could feel the diversity of thoughts on environmental problems and their awareness of energy circumstance through discussion with those who have different culture, environment and value. We thought we could understand the problem deeply through the experience. After the discussion with TFG's students, we visited their houses and stayed the night. Many of us experienced "night market", which was popular in Taiwan, spending cheerful Taiwan night. All the host families were so kind of us that spoke to us a lot in English. 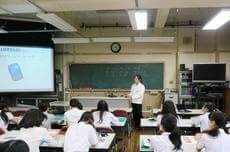 Some of Japanese students had been anxious about the communication with them, but we could enjoy talking with them. We appreciate their kindness because we could get many chances to interact with them. As is widely said, Taiwanese people are very friendly to us and have good image on Japan. However, we should learn about the history very carefully. Both of the two shared a lot of memories. We are very happy because, during the stay in Taiwan, many local people talked to us and welcomed us as the guests. Also, we have seen some interesting things such as Japanese movies, sweets, shops to prove that the Japanese culture has deeply spread into their society.